A British woman was pulled out of the Adriatic Sea on Sunday after falling off a cruise ship and treading water for 10 hours. The woman was on the Norwegian Star near Croatia when she fell overboard, according to the cruise line. "In the morning of August 19th, a guest went overboard as Norwegian Star made her way to Venice. The Coast Guard was notified and a search and rescue operation ensued," a spokesperson for Norwegian said in a statement. "We are pleased to advise that the guest was found alive, is currently in stable condition, and has been taken ashore in Croatia for further treatment. We are very happy that the individual, who is a UK resident, is now safe and will soon be reunited with friends and family." David Radas, a spokesperson for the Croatian Ministry of Maritime Affairs, said CCTV footage shows her falling off the boat at 11:30 p.m. on Saturday, and she was rescued at 9:45 a.m. Sunday. The 46-year-old woman, whose name ABC News confirmed as Kay Longstaff, told Croatian TV station HRT in a brief interview after the coast guard returned her to shore, that she was on the back deck when she fell off. Longstaff works as a flight attendant and had some emergency training, a Croatian coast guard official told ABC News. Longstaff is still in the hospital, but is expected to be released Monday once family arrives. 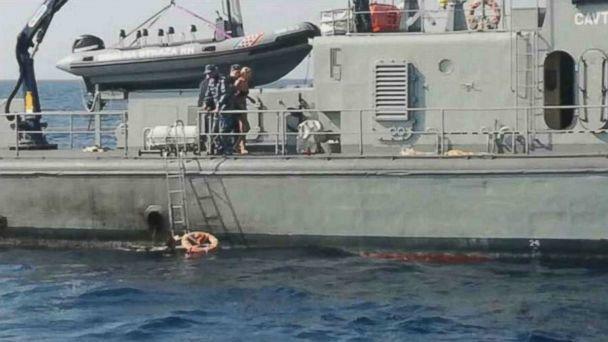 Reuters video showed Longstaff being plucked out of the Adriatic by the coast guard, climbing on a boat by ladder. "We were lucky," Capt. Lovro Oreskovic, lead rescuer, told ABC News. "When she saw us, she immediately raised her hands and waved." Oreskovic said Longstaff was in good shape. She told the rescuers it was because she is into yoga. She was floating in the sea all the time and singing not to fall asleep and to preserve her body temperature from falling, Oreskovic said. The incident happened between Pula, on the Croatian mainland, and Mali Losinj, an island in the Adriatic that's part of Croatia, according to Radas. The Adriatic Sea is located between the east coast of Italy and Croatia. Longstaff was lucky in that the waters were calm and the temperature of the water was around 75 degrees Fahrenheit. 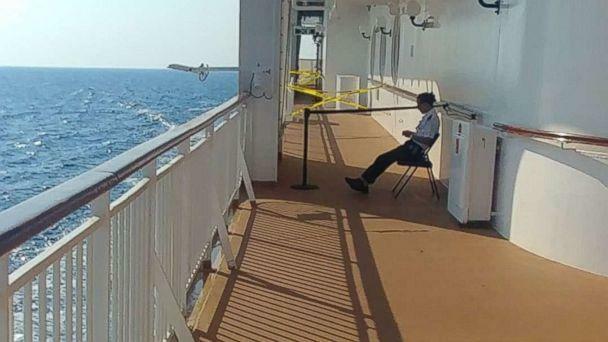 The area where she fell off could be seen blocked by a crew member and caution tape in photos taken by a fellow cruise passenger. It's not clear how or why she fell off the back of the ship or the height of the fall. The Norwegian Star arrived in its port in Venice, Italy, Sunday afternoon -- without Longstaff -- and departed for its next stop 2 1/2 hours later.